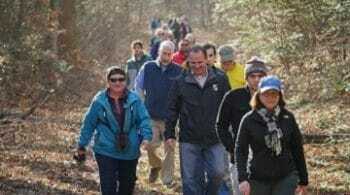 One of my top priorities is to make sure all Marylanders have access to the enjoyment of nature and the great outdoors. To that end, I’m pleased to say that 2018 has been a banner year for the Maryland Department of Natural Resources. A proud accomplishment of this past year was the opening of a new floating fishing pier and gangway at the Unicorn Lake Fisheries Management Area that meets Americans with Disabilities Act standards. Thanks to the assistance of our partners, the new floating pier will provide more accessibility and opportunity for anglers at this popular fishing spot in Queen Anne’s County. With another important partner, the National Park Service, we completed a project to expand and enhance paddle-in camping opportunities at beautiful landing spots at Point Lookout State Park and Newtowne Neck State Park, both located in St. Mary’s County. The new and improved campsites will allow residents and visitors looking for low-impact recreation to explore the beaches, tributaries and wetlands of the Potomac River. We recently received approval to expand Myrtle Grove Wildlife Management Area in Charles County by 182 acres, which will protect water quality in the Potomac River basin while providing additional recreational options for residents and visitors. This property is identified by the National Audubon Society as an ‘Important Bird Area,’ making it an ideal location for birders and other wildlife observers. We’ve made significant progress on two of our most anticipated park projects, Bohemia River State Park in Cecil County and Wolf Den Run State Park in Garrett County. Each facility recently welcomed residents to open house events where the public could interact with staff, learn more about the parks and provide input. We look forward to fully opening these spectacular facilities next year. These are just a few examples of our constant effort to bring more people to the natural resources and wonders of Maryland. To enhance the value of experiencing our public lands and waters, the Maryland Park Service has also made an important change to our annual Maryland State Park and Trail Passport, which is now valid for one full year from the month of purchase, instead of by calendar year so you get 12 months of access! Proceeds from passport sales fund the operations and maintenance of our vast network of diverse state parks, and our more than 900 miles of trails for biking, hiking and horseback riding and more. 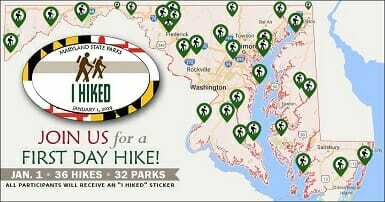 Map of First Day Hike locations2019 will be an exciting year for the Maryland Department of Natural Resources as we continue to create, enhance and maintain public access and recreation opportunities throughout Maryland. I urge you to kick it off with a First Day Hike on New Year’s Day. 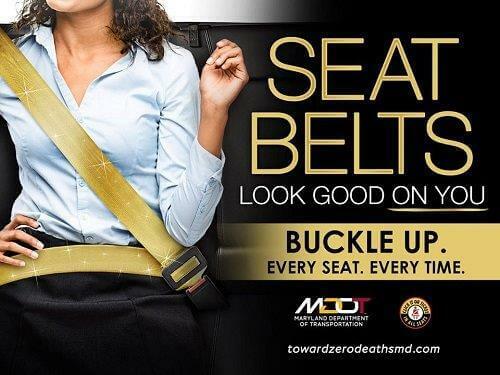 So make a resolution to join us in Maryland’s great outdoors! Until then, I wish you the very happiest of holiday seasons.